Recently, the students in my Java course were completing an assignment similar to Rock Paper Scissors when one of them came up with a clever question: can we compare each choice numerically? After thinking a moment, I realized we could totally implement Rock Paper Scissors using modular arithmetic. Before we get into the solution, I find it’s always useful to lay out the requirements. 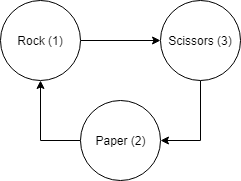 In particular, what is Rock Paper Scissors, and how can we model it in a computer game? Just so we’re clear, Rock Paper Scissors is a one-on-one strategy game where individuals simultaneously select rock, paper, or scissors. The winner is decided based on the relationship between the different choices: paper beats rock, rock beats scissors, and scissors beats paper. To model this type of game in a program, we’ll have to set some basic rules. Instead of rock, paper, and scissors, we’ll use the numbers 1, 2, and 3. This allows us to avoid user input issues. For example, who wants to deal with all the variations of strings (i.e. rock, ROCK, RoCk, etc.)? In addition, we’ll set up the program so users can play the computer. To do this, we’ll have the program generate a random number between 1 and 3 while requesting a number between 1 and 3 from the user. If a user enters an invalid number, they’ll lose automatically. With these rules in place, we should be able to implement a relatively trivial solution to Rock Paper Scissors. Of course, in my experience, implementing Rock Paper Scissors is actually not that easy. In fact, I’ve seen a lot of students struggle to write the program for a number of reasons. In some cases, students have just learned control flow, so they struggle to set up their conditions. Other times, they have a hard time simplifying their solution, so there are cases all over the place—hence why I try to avoid processing user input if possible. Very quickly, students will realize that writing out 10 if statements is painful. By the fifth one, they’ll start to wonder if they’re doing something wrong. At that point, they’ll usually revise their strategy, reduce their test cases, and possibly ignite their passion for computer science. After all, I always find reducing complexity to be a really fun and rewarding task. Of course, not everyone is like me. At any rate, many students will notice that there are some redundant cases in the solution above. In particular, they may find that they can reduce all three tying cases down to a single case (i.e. choice == choice). Unfortunately, that only reduces ten cases down to eight. So, is there a better way? Well, according to one of my students there is, but we’re not there yet! Instead, I want to take some time to dig into the code. When I first solved this problem, I was writing a JUnit test case, so I could automate student grading. As you can see, I went the eight case route from above, but I used Enums for code clarity purposes. Why refer to rock as 1 when I could call it what it is, Game.ROCK? After thinking about this problem a bit more, I’m sure there are an infinite number of cleaner solutions. For instance, if I were to go back and rework my code, I’d probably populate some lookup table. That way, I could use the user choice and the computer choice as indices in a matrix. Instead of writing eight if statements, I’d just need to retrieve the result from the table. That said, I want to take some time to walk through some typical solutions. For my own sanity, all solutions will be in Python rather than Java, but the idea will be the same. At this point, we’re able to dig into the win/loss logic. In addition, it’s kind of tough to remember the mapping when we’re doing our comparisons. As a result, I put in extra comments for clarity. That said, it would much nicer for the code to speak for itself. At any rate, this is a perfectly valid solution, but I think we can do better. In the tie case, we know that the user and the computer made the same choice, so we can compare their values directly. As a result, we can quickly trim two cases off the top. Unfortunately, we still have quite a bit of duplicate code, but slimming these cases down is much harder. While we might want to consolidate all the cases where the computer wins, it’s not really clear how we’d do that. Likewise, we may notice that some of these cases are just inverses of each other (i.e. rock vs. paper and paper vs. rock). Maybe there is some way to consolidate those cases, but it isn’t clear. Unfortunately, this solution doesn’t really reduce our code at all. In some ways, it’s actually more confusing. 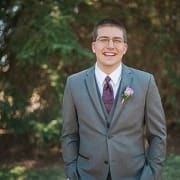 Is there anything we can do to cut down on the code a bit? I’m glad you asked! For some reason, these relationships seem really intuitive. After all, scissors are stronger than paper but weaker than rock. So, it makes sense to think about them as mathematical quantities. The problem is that numbers don’t display this cyclical property that rock, paper, and scissors do. Sure, three is greater than two, but one is not greater than three. So, what do we do? How’s that for a drastic reduction in cases? Here, we went from a worst-case scenario of ten cases to just four (including the bad input case), but how does it work? The left half of this expression is computing the next choice in the cycle. If the user selects rock, the expression would evaluate to two because (1 + 1) % 3 is two. If the next choice in the cycle happens to also be the computer’s choice, we know the user has lost. Likewise, if the next choice in the cycle is not the computer’s choice, we know that we must have won (assuming we’ve already tested for the tie). With this solution, we no longer have to deal with all that duplicate code. We have one case for bad input, one case for ties, one case for wins, and one case for losses. After coming up with the modular solution, I realized that there were still ways to simplify the solution. In particular, it would have been helpful to start the mapping from zero. And, that’s it! We’ve created a command line Rock Paper Scissors game using modular arithmetic in 40 lines of code. After writing this article, I took to the internet to see if anyone had done anything like this before, and it turns out I’m not the first, sadly. On the plus side, there’s a lot of information out there on why this solution works. In other words, the first half of the difference results in a win for the user while the second half of the difference results in a loss for the user. As we can see, this sort of solution scales to an arbitrary number of choices which is alarmingly efficient. Instead of writing out the square of the number of choices as cases, we only have to handle the same three scenarios. How’s that for the power of modular arithmetic? Despite not being the first to solve Rock Paper Scissors using modular arithmetic, I really thought this was cool and interesting, and I hope you did too. If you know any complex problems that have an elegant solution like this, let us know in the comments. I’d be interested in exploring possible patterns in these types of problem. Perhaps there’s some technique for reducing branching that we could glean from a few examples. At any rate, thanks again for taking the time to read one of my articles. If you liked what you read, consider passing it along to a friend. Word of mouth can go a long way to helping me out. While you're here, I figure it's a good time to mention that I have a website called The Renegade Coder. 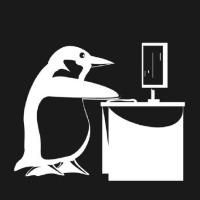 Most of the coding content you can find here on dev.to, but I also have some members-only content which covers topics like my journey to a PhD, my teaching experience, my industry experience, and my personal life. If any of that sounds interesting or you'd just like to get my newsletter, feel free to sign up.